Marvel has revealed the cover to Uncanny X-Men #1, along with a release date: November 14th. The cover and release date were posted as part of an interview with X-scribe Matthew Rosenberg on Marvel.com. Rosenberg will be writing the comic along with Kelly Thompson and Ed Brisson, with art by Mahmud Asrar, R.B. Silva, Yildiray Cinar, and Pere Perez. Frightening as it may be, scaredy-cat Rosenberg believes it makes for a better story. According to Rosenberg, it takes creators that really love the X-Men to produce stories that torture them and their readers properly. Marvel must really love Cyclops then! 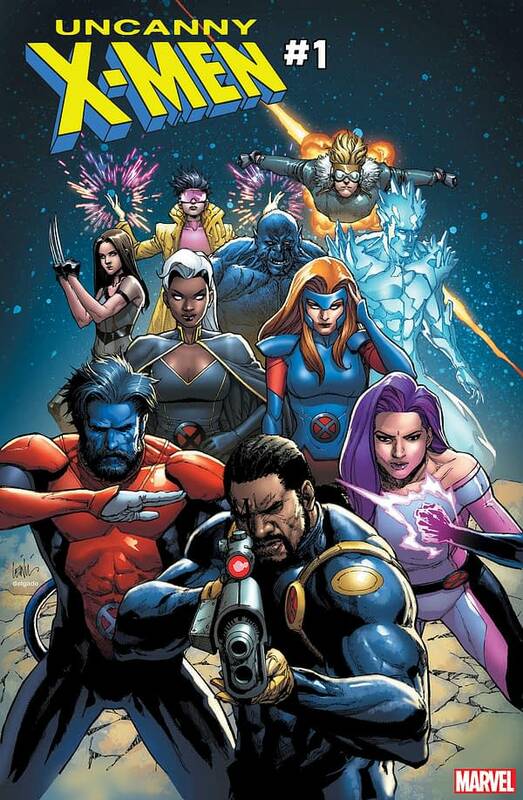 The cover reveals a smaller group of mutants than last week’s teaser image by David Marquez. Notably missing is Honey Badger; is this more evidence the team plans to kill off the beloved teenage character in the series, as the writers previously discussed in a very serious conversation on Twitter? Still no word on where Chris Claremont stands in any of this, and either Rosenberg was avoiding the question or Marvel.com was too afraid to ask it (journalistic integrity truly is dead). Check out the cover below by Leinil Francis Yu and Edgar Delgado.